10 Injuries Covered Under Workers’ Comp - David M. Benenfeld, P.A. The vast majority of illnesses and injuries experienced by Florida employees are covered by workers’ compensation insurance. Workers’ compensation insurance is specialty coverage that pays for medical costs and lost wages when an employee is injured at work. Everything from construction accidents to repetitive motion claims and even illnesses can receive compensation under Florida’s workers’ compensation laws. If you are in doubt whether your injury is covered, file a claim and speak with a workers’ compensation attorney. Before you do anything, remember you only have 30 days to report the initial injury to your employer. If you fail to do so, your claim might be denied – even if you have a qualifying injury. You should report the injury or illness immediately to avoid any delays. Numerous injuries qualify for workers’ compensation. If you can prove you were performing your job duties, and you were not intoxicated or under the influence of drugs, you should qualify for workers’ compensation for your injury. One of the more common injury types is overexertion. Typically, an overexertion injury is minor and includes sprains and strains. Other times overexertion injuries include disk herniation, back injuries, tears, and more painful, debilitating injuries. Overexertion is the leading cause of non-fatal disabling work injuries per the National Safety Council (NSC). It is also the leading cause of multiple days off work and the sixth cause of emergency room visits – causing 1.8 million trips in 2005. Falls are the leading cause of death and severe injury in the construction industry. Per the United States Occupational Safety and Health Administration (OSHA, there were 350 fatalities in 2015 from falls at construction sites in the United States. Sadly, these falls were preventable. Not all trip and fall accidents are fatal. In fact, these incidents also lead to soft tissue injuries, brain injury, broken bones, sprains, and other painful injuries. Workers in any industry can experience a slip, trip, or fall – including retail, office administration, and sales. Repetitive motion injuries are common, especially if your job requires constant use of your hands and arms. Bodily reactions occur when your body’s natural responses injure you in an accident. For example, if you slip or trip your body tightens, and your hands automatically go out in front of you to brace for your fall. As a result, you can sprain or break a wrist, and hurt your back. Falls to a lower level occur in the construction industry and related industries like roofing and painting. A fall to a lower level can happen in numerous instances, such as falling from a ladder, falling down an open elevator shaft, slipping and falling off a multi-level workplace, or falling down a set of stairs. Falls to lower levels are catastrophic. They result in internal trauma, brain injuries, and could be fatal depending on how far a person falls. An object falling for even a few feet can hit with catastrophic force. Being struck by a falling object typically occurs in construction, where employees are working at multiple levels. Objects can include construction materials and equipment that falls off the edge and strikes workers below. While construction sites require hard hats, these only do so much to protect a worker from the trauma of being struck by a heavy object traveling at maximum speeds. Many jobs require employees to drive, including commercial drivers, delivery services, chauffeurs, and employees running company errands. If you are driving as a part of your job-related tasks – and you get injured – you can file a workers’ compensation claim for the injuries you suffer. This holds true even if you are using your own vehicle – as long as you can prove that your driving was work-related. Machinery accidents typically happen when heavy equipment crushes or mutilates a worker. However, minor injuries can occur from machinery too. Employees may be trapped inside a piece of machinery, pinned against another object by machinery, or run over by machinery. State laws require that anyone operating heavy equipment have the proper certifications and training before doing so. Sadly, assaults and workplace violence are quite common in the United States. According to OSHA, nearly 2 million Americans are the victims of workplace violence each year. Construction sites, laboratories, and medical facilities have hazardous materials and chemicals on the premises. When improperly stored or handled, these materials can lead to fires and explosions. Such accidents can be catastrophic and leave victims permanently disfigured. 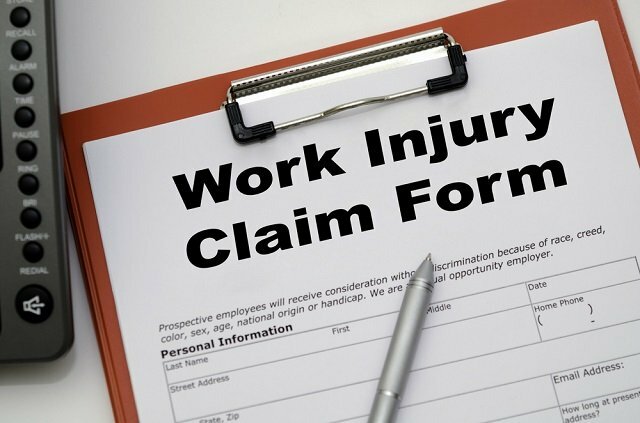 While you are entitled to workers’ compensation for on-the-job injuries, filing a claim and receiving payment is not as straightforward as it would seem. You are seriously injured, and you need compensation to cover medical costs, bills, and other compounding costs. The last thing you have time for is negotiating or trying to prove your injury or illness is work-related. Speak with an attorney from The Law Offices of David M. Benenfeld P.A P.A to get your workers’ compensation claim started. Schedule a free case evaluation now at 954-677-0155, or request more information online. A Quick Guide to the Elements of a Personal Injury Case How Can You Recover from a Defendant in a Car Accident Case?